Recently, APOS Systems hosted a webinar on the General Data Protection Regulation (GDPR) and SAP BI compliance. 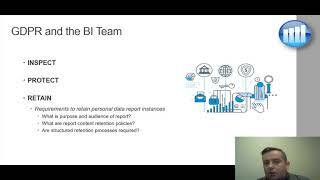 Here are some of the takeaways from that webinar, and some resources to help your BI team in their preparation for the May 25 GDPR compliance deadline. The focus of the GDPR is squarely on the data subject - the person whose personal data is to be protected. From whom or what is this personal data to be protected? From misuse or abuse by data controllers and data processors, who have a mutual responsibility to protect the data subject's personal data, and to respect the data subject's rights under the GDPR. 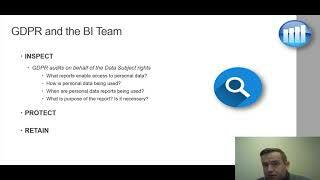 The BI team is not the only segment of your organization that acts as data controller and data processor, but your BI system is central to the GDPR compliance effort, because it contains and/or touches on almost every data source within the organization, and because its security model controls access to large amounts of information that may be classified as personal. Data inspection bears on both the rights of the data subject, and the obligations of the BI team. 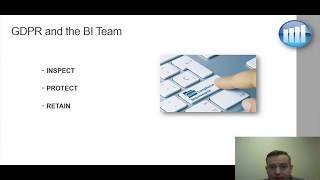 The obligation to protect personal data falls on data controllers and data processors, including the BI team. The rules for data retention also fall on data controllers and data processors, including the BI team. For a more detailed look at these rights, please visit our GDPR, SAP BI & Data Subject Rights page.